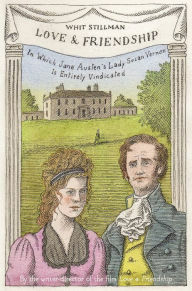 Austen’s unfinished (funniest and least known) novel is a comedy-of-manners centered on recently widowed Lady Susan Vernon—impossibly beautiful, witty, and completely self-absorbed—who arrives at her brother-in-law’s estate to find husbands for both herself and her daughter. With a pitch-perfect Austenian sensibility and wry social commentary, filmmaker and writer Whit Stillman cleverly reimagines one of our greatest writers’ unfinished works. Please note, reading will begin at 5:00 not 6:00.